The ETA has teamed up with DEKRA Vehicle Inspections to help you make an informed decision when buying a second hand car. What is a DEKRA vehicle inspection? A professional DEKRA vehicle inspection engineer checks the car for roadworthiness and lets the buyer know of any problems. Why should I buy a DEKRA vehicle inspection? Few people have the expertise to distinguish a mechanically-sound car from one which could cause future problems and expense. A fully-qualified DEKRA engineer can be sent to carry out an inspection and provide a detailed report, helping you avoid damaged cars, write-offs, stolen cars and ‘cut-n-shuts’ (two cars welded together). What does your vehicle inspection include? We provide a wide range of inspections vehicle’s type, engine size and age. The inspections are available for cars, vans and motorhomes. 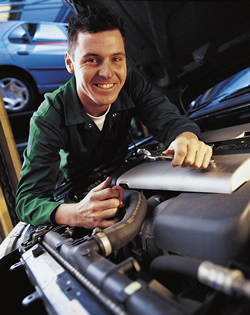 For twenty five years we’ve been providing reliable, affordable breakdown cover. Cover starts at just £39, and includes free Auto Repair cover for up to £500 against repairs.